This entry was posted in Apologetics, Philosophy and tagged argument for God from logic, Cornelius Van Til, Greg Welty, Philosophia Christi, presuppositionalism, TAG, theistic arguments, theistic conceptual realism, transcendental argument. Bookmark the permalink. Pingback: The Lord of Non-Contradiction « Analytic Theology, et cetera. Great article. Thank you again for your work (and the same to Dr. Welty). Do you have any particular understanding of presupposition in mind toward the end of the paper (i.e. semantic or pragmatic)? I’m going to answer your question in a separate post, not because it requires a lengthy answer, but because it will give me the opportunity to draw some more connections between the argument of the paper and Van Til’s distinctive claims. Thanks for taking the time to write this paper! My first initial thought concerns your two arguments that the laws of logic necessarily exist—I don’t think either of them work out. Regarding property attribution, the same distinction between “within” and “of/about” seems to be causing the trouble. When we say that “p is true in w,” we typically mean that “p is true of/about w.” But ‘p’ refers to a statement which exists here in the actual world, and to assign a property of truth to p is to say something about an existent here within our own actual world, not within the (non-actual) world w.
So here it seems the argument loses traction. Probably you have encountered this objection before. What are your thoughts on it, if you don’t mind me asking? Thanks for the comments! It’s gratifying to receive such thoughtful critical feedback. Your distinction between statements-made-about-w (in the actual world) and statements-made-in-w has been used before to rebut arguments like ours, but I don’t think the rebuttal is cogent, even if the distinction itself is coherent. A possible world is just a world that could be (or could have been) actual. So for any possible world w, we should agree that if w were actual, then everything that is true-in-w would be true. But this is just to say than every statement made (in the actual world) about what is true-in-w entails a corresponding statement that would be true if w were actual. Now, it seems you and I agree that the laws of logic are necessary truths, in which case we’re committed to the claim they are true-in-w for every possible world w. But then it must be that for every possible world w, if w were actual then the laws of logic would be true — and, as our paper argues, that would entail the (actual) existence of propositions. Thus for every possible world w, if w were actual then certain propositions would (actually) exist — which is simply to say that those propositions necessarily exist. But even using natural language, I don’t see any contradiction or otherwise inappropriateness in proposing a possible world where there are no laws of logic. This could take the form of proposing a world where there are no minds capable of forming statements or other truth-bearers. The problem with this sort of scenario is that it has some very unsatisfactory entailments; see footnote 30 in our paper. Thanks for the SEP link! As someone with virtually no formal training in philosophy, it’s always a confidence booster to see my position represented, if not always accepted, in the literature. In evaluating the objection, I first want to ask myself, what does it mean to say something like “if w were actual then…” ? It seems to me that when we interpret sentences of that form, we hold w in our imagination and consider what is true of this possible actual world from our vantage point here in the actual actual world. So in this way, we can never really escape our own point of view. We’re always going to be talking across worlds in some sense, as long as we talk about w. So when you suggest, for instance, that “If w were actual then S would be true,” I agree. But to my reckoning, S is a statement we make here in this world. If w were actual, then the statement S made here would be true, and we don’t need to say that S exists inside w for a statement here to be true. Still, there is something odd about considering a possible actual world which is not actually actual. Perhaps this is just a flaw or limitation of possible worlds semantics. I should perhaps confess that I have always been (and remain even now) quite suspicious of possible worlds semantics, and I use them only out of necessity (yes, that is a little joke, but the point is a serious one). As for footnote 30, I don’t think Plantinga’s characterization is the only alternative to saying that “p implies that proposition p exists.” In particular, we can characterize possible worlds as being described by (or perhaps even consisting of) maximally-consistent sets of propositions, and a necessary truth as any proposition p satisfying the property that for all worlds w, p appears in the set associated with w.
Ben, is your claim *about* possible worlds a necessary truth or not? Also, when you speak of possible worlds that have no minds at all and the laws of logic don’t existence ‘in’ them, how does this look? Suppose you have a possible world of just rocks and no mind/s or laws of logic (per your assumption). Now are you saying that ‘in’ that world, for example, it is possible ‘in’ that world that at least one rock is, say, not necessarily self identical to itself? Are you saying that it is possible that ‘in’ that world that a rock could also not a rock, but say a zombified rock star? Or, could there be a possible world where there is a prime rib that’s a prime number, and that is true ‘in’ that world? Just what does a possible world where laws of logic are not true ‘in’ them look like? In fact, to be a possible world it can’t be impossible. And it seems to me that worlds ‘in which’ rocks are not rocks at the same time and same respect are just not possible worlds. Are you saying that it is *both* the case that we can say ‘about’ these worlds that no rock is also a non-rock *and* that ‘in’ these worlds there exists a rock that is also not a rock? I can’t conceive of such a world. If you can conceive of no world where the laws of logic are not true ‘in’, how is it alright to say it’s a possible world? Moreover, *if* you *can* conceive of a world where, say, a rock is also not a rock, why can’t you say ‘about’ or ‘of’ the world that (say) the law of non-contradiction is not true ‘of’ or ‘about’ that world? On reflection, I’m not really sure I understand your claim/s. Also, for example, when I say that it is not true *of* the actual world, W-alpha, that unicorns exist but it is true *of* a possible world, W-prime, that unicorns exist, how should we understand me if I were to add: but unicorns do exist ‘in’ W-alpha and unicorns do not exist ‘in’ W-prime? So the ordinary language point seems to reappear. Also, since we can say X is true *of* W but not *in* W, can we also say X is false *of* W but not *in* W? In response to your other questions, no, it is never true that any given object X is not identical to itself. Instead, a possible world without any truths “looks like” the actual world, except it doesn’t contain any minds capable of producing statements. As for your unicorns example, we just have to be careful about what we mean. If it is true *of* w that unicorns exist, then that is to say that there exist unicorns inside w. Yet it does not follow, so long as the unicorn’s mind is sufficiently underdeveloped, that “unicorns exist” is true inside w, since the statement “unicorns exist” may not itself exist inside w (which is required in order for it to be true inside w). To put the point another way, when we conceptually go inside the possible world w, we naturally want to bring with us our own point of view where we are making statements and evaluating their truth. But if we do that then we risk accidentally bringing our own mind into the world w which is supposed to be mindless. If we force ourselves to remember that all these statements about w are being made here in the actual world, then it’s no problem to say things like “it is true the rock inside world w is identical to itself,” and so on. We just have to be careful to keep our own mind and the statements it produces/evaluates out of w when we otherwise move conceptually inside w.
(i) Is it necessarily of any possible world W, if no minds exist in W, then no laws of logic exist in W.
(ii) Necessarily, logic is the product of some mind or other. (iii) A truth T is a necessary truth iff T is true ‘of/about’ all possible worlds. However, on your view, if there are no minds there are no truths. So, before there were humans (assuming they’re the only minds that exist, for arguments sake), then (i) – (iii) itself was not true ‘of/about’ anything. They were not true, simpliciter. If we let t be ‘the time before there were humans’ then (i) – (iii) were not necessarily true at t, and now they are, at t1. So there was a time with no necessary truths, and then, sometime after that, there were necessary truths. Is this right? Is this how we want to understand necessary truths? Also, when you say that A(x) x = x; this is meant de re? So you’d be willing to exist that in saying laws of logic are true *of* all possible worlds, then laws of logic ‘exist’ in all possible worlds, but the *statement* ‘laws of logic exist in all possible worlds’ is not true *in* all possible worlds? But your initial objection to James was: “[I don’t think] laws of logic necessarily exist.” But *now* is seems you want to claim that the *statement* ‘laws of logic exist’ isn’t true ‘in’ all worlds. Well, why think James objects to *that*? For starters, *English* doesn’t exist in all possible worlds for *the statement* ‘laws of logic exist’ to exist in all possible worlds. However, if you admit that laws of logic do *in fact exist* in all possible worlds, then this means they are necessary. Now, since you’ve admitted that laws of logic exist *in* all possible worlds, what *are* they? Sorry: I wrote “So you’d be willing to exist that in saying . . .” I meant admit. Ben, it seems you’re advocating alethic relativism. Is this correct? Since you have admitted (implicitly) that laws of logic exist in all possible worlds, and you apparently hold that minds don’t, then logical laws are necessarily true in some worlds and not others, though they exist in all, right? They cannot be essentially true, right? This is NOT what I am advocating! Rather, I hold that (iv) is false. And while (v) is also be false, that is not too important. It is the falsity of (iv) which is key. So most of the last half of your criticism doesn’t apply to me, since I reject (iv). In answer to your other questions, yes, I affirm (i), (ii) and (iii). And yes, before human beings were around to form statements (and hence truths), there were no necessary truths. And yes, before human beings were around to form statements (and hence truths), there were no necessary truths. In that case, to repeat, you need to deal squarely with the sort of modal problems raised in footnote 30 and discussed in more detail by Plantinga (see Warrant and Proper Function, 119 — if you don’t have a copy, find the book on Amazon.com and search for the phrase “weak necessity”). I don’t own a copy, but due to some recent readings in contextualism I just so happen to have checked one out from the library before they closed for winter break. Lucky for me! I’ll look at it more closely later tonight or tomorrow. Thanks, Chris — I’d forgotten that WPF is now available online. The relevant section is chapter 6, section V (“Why Propositions Cannot Be Concrete”). Actually, the section would be better titled, “Why Propositions Cannot Exist Contingently”. (*) If it is true *of* a world with no minds, W, that unicorns exist, then unicorns do in fact exist *in* W; though the *statement* ‘unicorns exist in W,’ is not true in W.
(v*) the *statement* ‘unicorns exist’ in W does not exist in W.
That is, the *unicorns* exist in W, but the *statement* ‘the unicorns exist in W’ does not exist in w.
(**) If it is true *of* a world with no minds, W, that X exists, then X does in fact exist *in* W; though the *statement* ‘X exist in W,’ is not true in W.
(iv**) X exists in W.
(v**) The *statement* ‘X exists in W’ does not exist in W.
Ben, you said you affirmed (iii), but here’s a truth of/about all possible worlds: Ben Wallis exists in the actual world. On your view of necessity, then, it’s necessarily true that Ben Wallis exists in the actual world! So it seems your understanding of necessity is flawed. I may be misunderstanding you here, but it looks like you’re equivocating on “exists in the actual world”. “BW exists in the actual world” is ambiguous between (1) the world-indexed proposition “BW exists-in-alpha” [where ‘alpha’ rigidly designates this world] and (2) the proposition “BW exists in whatever world happens to be actual” (i.e., “BW actually exists”). The former proposition is indeed a necessary truth (as all world-indexed propositions are) but the latter proposition is not (with no disrespect to Ben, whose existence is appreciated even if less than logically necessary). Yes, the challenge for Ben is to explain what it would mean for a proposition to be true-of-w without being true-in-w, while still preserving our natural intuitions about which truths are contingent and which are necessary. (vi) for any proposition X which is true of/about W, X exists in W.
But this is not so! Otherwise I don’t know how you expect to deduce (vi) from my previous comments. where “in” is given some suitable interpretation. Again recall that (vii) is true regardless of location, and so it must be true in all possible worlds (however we interpret “in”). It follows by (viii) that (vii) is necessarily true, and the paradox once again arises. Now if you have some better alternative to (iii) then I’d be willing to jump on board with that. But I don’t see one. Do you have an example? Look, if you say it is true *of* me that I like to play chess, then you’re saying that *I* have that property. How is this not the case when you say the laws of logic are true *of* a world without minds? First of all, thanks a lot for all the comments and suggestions. It’s nice to have to face challenges head-on instead of sitting conveniently alone at my desk where I’m tempted to dismiss them without much thought. I’m especially impressed by the criticisms of Crisp (cited in the SEP article Dr. Anderson suggested), and I see now that it’s going to be much more difficult than I expected to develop a rigorous account of the inside/outside truth distinction. But I still think it can be done, and I don’t see that we need to shy away from the distinction just because it hasn’t been done yet. (ix) for no proposition p in language L is e(p) an element of S(w). Depending on what sort of consistency we have in mind when we talk about “maximal” consistency, and how we distinguish (or fail to distinguish) between L and the language of e(p), we may have to modify the maximally-consistent interpretation to accommodate (ix). But this is no great burden. The point is that for each world w there is a set S(w) which is in some significant sense “full” or complete, and which describes a state of affairs which we liken to w.
So given this rough sketch, we turn to the laws of logic as given in the paper. Whereas I prefer to treat them as schemas in first-order logic, Dr. Anderson apparently prefers to treat them as statements in second-order logic. Let’s go with his treatment for now, even though my unfamiliarity with second-order systems risk showing in my analysis. Recall that they have the form (p)Q(p) (or perhaps the conjunction of such forms), where (p) quantifies over statements/propositions and Q(p) is a first-order statement for any fixed p. But which statements are in the scope of quantification? Well, presumably they’re either the statements in the second-order language we’re using when we assert (p)Q(p), or else the statements in the first-order language (i.e. the restriction of the second-order language to first-order statements) we use to assert Q(p). So (p)Q(p) is a theorem in the second-order language. Given that logical theorems have no descriptive content outside the language in which they are stated, and given that we want each S(w) to be complete in the strongest sense possible, it seems appropriate to require that (p)Q(p) belong to S(w) for each world w.
Notice, though, that I don’t intend for the “(p)” in (p)Q(p) to quantify merely over those statements which exist “inside” w, that is, statements p such that e(p) belongs to S(w). (Although if you really want to construct such quantifiers that shouldn’t be a problem.) So any second-order statement of the form (p)Q(p) is only going to be true “of/about” a mindless world w in the technical sense that it appears in the set S(w). But its intentionality, so to speak, involves the first- and/or second-order language we are using to describe w, instead of w itself. In this way, (p)Q(p) isn’t a property of w in the sense of describing the imagined state of affairs we associate with w. Rather, it’s just a non-w-descriptive tautology in the language we happen to be using to describe w.
So it looks to me that maybe Dr. Anderson sees some of the intuitive appeal here, but he just doesn’t think it pans out. In response, I would suggest that if we can’t make PWS compatible with this distinction between inside/outside truth, then so much the worse for PWS! But I know that’s a fairly radical suggestion, and so in an effort to disguise my crackpottery I’ve tried to outline here what I think is a promising avenue for reconciling PWS with the inside/outside distinction. I would not be surprised to learn it has some kinks, but what linguistic account doesn’t? Given that I have such a strong intuitive sense of that distinction, my reaction would be to try to iron out those kinks as they appear, and not discard the project altogether. In contrast, it looks like Paul M. doesn’t see the intuitive appeal at all, and I have to say I’m a little surprised by that. Paul M., do you really not have any intuitive sense of distinguishing between the statements we make in the process of describing some hypothetical state of affairs on one hand, and, say, the statements we make about the language we use to describe that state on the other? When you hold a hypothetical state of affairs in your imagination, aren’t you concerned that you might accidentally contaminate it with elements from your actually-existing point of view? I am, and for that reason it seems like we must make the distinctions I have outlined, even if you dispute the exact manner of distinguishing which we should employ. In contrast, it looks like Paul M. doesn’t see the intuitive appeal at all, and I have to say I’m a little surprised by that. Paul M., do you really not have any intuitive sense of distinguishing between the statements we make in the process of describing some hypothetical state of affairs on one hand, and, say, the statements we make about the language we use to describe that state on the other? We use the mea language to talk about things *in* the object language. So I don’t find this move analogous. I understand and grant the distinction between the object language and the meta language. So if English is the meta language, then ‘and’ is used to talk about, say, ‘&’. However, ‘and’ isn’t used to talk about *nothing* ‘in’ the object language. However, I would say think in our situation, I’m not sure what you even mean by your distinction and how it looks (I’ll have to fully read your post). Moreover, in the literature, most people mean by “X is true about W” that if W were actual, X would be true *in* W. So there’s that confusion too. All that to say, I don’t know enough of what you even mean to find it intuitive or not. In standard accounts, it’s not intuitive. (x) if (it is the case that) p, then p is true. (For purposes of convenience, here I am treating “it is the case that p” and “p” as the same.) But this poses a potential problem. If at w we have p and p->q then we must have q. So on my account, (x) must be false at any world w which lacks sufficiently developed minds. If this is counter-intuitive, I suggest that perhaps that is because we take for granted the existence of propositions. Once we envision a possible world without existing propositions, then we can see how (x) could be false, indeed must be false. Ben, I don’t see how this helps you then in wanting to say logic isn’t ‘in’ the world. All that follows, it seems, is that you have logic ‘in’ worlds without minds (and this may be a counterpossible), W, but you don’t have to say that it is *true* that logic is ‘in’ W. I don’t see how this helps you. This doesn’t help you in establishing that logic isn’t necessary, i.e., existing in all possible worlds. You would then need to put forth your view of logic and explain how logic exists in all worlds without a mind. This requires you *not* rejecting the premise that laws of logic exist in all worlds (which is what I thought you were rejecting), but that, minimally, it is not true in all worlds it exists in and not propositional in all worlds it exists in. I don’t see how if we accept your preference we aren’t committed to claiming that X is ‘in’ the world. Also, on your view, I’m not even sure you’d want to accept your analysis. You say logic is true of W is just our meta-level way of *talking about* W. But same with *English*. So, suppose ‘English’ is true of W, why think on your view that ‘if W were actual, English would be the case?’ Indeed, even in worlds with minds this wouldn’t follow, e.g., possible worlds with only Chinese speakers and no invention of English. So I really can’t follow your proposal here. For me, *I* can understand what I mean by ‘true of’ W, but I don’t see how it cashes out on your own terms. Your argument hinges upon the laws of logic being necessarily existing thoughts. sense 1: the laws of logic are simply rules of how any world must behave. sense 2: the laws of logic are statements/propositions about propositions that are always true. But in point 4, (LL are real) your proofs that LL exist trade on treating LL as propositions, that is to say you switch to sense 2. And then in point 7, you make the case for them being “thoughts”, which again switches back to sense 2, since thoughts are merely unwritten propositions. And this is the problem with simply saying LL are necessarily existing thoughts. LL may be necessarily existing in one sense, and thoughts in another. In fact I would agree that in sense 1, you have shown that the LL as rules exist necessarily, and I would agree that in sense 2, LL are thoughts. But you cannot *conflate* these two senses and conclude that LL are necessarily existing thoughts since thoughts do not exist necessarily. There is a possible world with nothing but rocks. The rocks obey the rule that they cannot both exist and not exist or be a certain shape and not be that shape simultaneously, etc. But this does not entail the necessity for there being a thought/proposition somewhere in that world that reflects that fact. So these are different sorts of things. 1 is a rule that reality must obey, 2 is a statement about that rule. And you realize this. On page 11 you describe how propositions differ from that which they are about. Thus you prove propositions (and hence LL) exist in sense 2, but you do not prove *at that point* that they are necessary. You defer the necessary part to where you *switch* the sense of LL to be a fact about the world, and then prove LL necessary in that other sense. No, the laws of logic are treated consistently as propositions from section 1 onward. Please read the paper more carefully. Perhaps you have a strong intuition that if the world obeys logical rules, then there must be a necessarily existing mind that perceives those rules. But that is a non-sequitur. Maybe you feel strongly that the concept of a necessary existent entails a necessarily existing conceptualizer. But that too is a non-sequitur. No, we have something better than intuitions and feelings; we have arguments. Please read sections 7 and 8 again. (emphasis added). To what does the bolded “it” refer? It sounds like you’re asking me to assume that logic exists in all worlds, then show that logic doesn’t exist in all worlds. But why should I do such a thing? Why must I assume in advance that logic exists in all worlds? Certainly I can imagine a world without SD minds, and hence without language, and hence in turn without logic. What makes this imagined world impossible? Dr. Anderson in his paper tries to show (among other things) that the PWS we use doesn’t permit us to talk about a world without logic, and since logic requires SD minds, then by extension we can’t use PWS to talk about worlds without logic. But in that case I would say that we must either modify our existing PWS so that we can talk about what we imagine, or else abandon PWS altogether. The latter move is unattractive, so that leaves modification of PWS to accommodate our imagination. To that end, it seems quite appropriate to distinguish between truth “about” a world and truth “inside” a world, and indeed philosophers have already done this, independently (and for different reasons) from myself. The former idea—truth “about” a world—means that we use language here in the actual world (where SD minds exist) to talk about other possible worlds. The latter—truth “inside” a world—means that there are beings inside that world using their language to express truths. It’s really odd to me that you don’t intuitively see this distinction. Finally, I have no idea what you mean when you suggest that on my view, “English would be the case” of every world. The term “English,” after all, does not express a proposition. Perhaps you mean it as an abbreviation for “English exists.” But how have you deduced that on my view we must have English existing inside every world? Certainly that does not immediately follow from anything I have said. “English sentences” is not a proposition, nor is “logic,” so they are not expressions which can be substituted for a proposition variable p. I don’t know what it means to say that “logic is true…it would be the case that logic”. That is not a well-formed sentence. I suggested that perhaps you mean these as abbreviations for “English exists” or “logic exists.” But “logic exists” is not true of/about a world w without SD minds, and so we don’t get to say that should w exist, it would be the case that logic exists. Quite the contrary! Despite the impression you’ve gotten, I do not say that “logic is true.” That would be misleading and imprecise—and it may even be false, depending on how you mean it. Rather, I say that logical laws, if they are framed as propositions (as Dr. Anderson had done) are true. And they are true “of/about” a world w only in the sense that we use logic to describe w. This is a trivial kind of truth, and it is only given since the list of propositions describing w are traditionally supposed to be as complete as possible (or maximally consistent, if you like). But please don’t think that a purely logical statement which can be added to a list of propositions describing w itself has any descriptive content, i.e. that it is something which helps shape our view of w. It’s not “about” w in that sense. Rather, it’s only “about” w in the narrow sense of appearing in the maximally (or something near to maximally) consistent set of propositions associated with w.
I agree with Fisher that there is equivocation being made between LNC as a metaphysical principle (how a/the world is) and LNC as a proposition (statement about how a/the world is). While the paper does consistently refer to LNC as a proposition it does not appear to consistently treat it as a proposition as Fisher pointed out where the paper states; “Can you imagine an alternate reality in which, for example, trees both exist and do not exist”. To be consistent the statement should read something more like “Can you imagine an alternate reality in which, for example, the *proposition* ‘trees exist’ can both be true and false”. Even if LNC is both necessary as a metaphysical principle [LNCM] and a necessary propositional truth [LNCP] it does not follow that if LNCM is necessary in all possible worlds that LNCP is necessary in all possible worlds. An example of the error is that while I may not be able to imagine “an alternate reality in which, for example, trees both exist and do not exist” and I may also not be able to imagine “an alternate reality in which, for example, the *proposition* ‘trees exist’ can both be true and false”, I can imagine an alternate reality in which *propositions* do not exist. If we follow your position that conceivability is a reliable guide to possibility then the fact that I can conceive of a world without propositions would indicate that there is possible worlds without LNC as a propositional truth. On a side note, I do not agree that conceivability is a reliable guide to possibility as I think too many people take this to mean that only what can be conceived is possible. While we could look at it as if one can conceive of something it may be possible it does not follow that if one cannot conceive of something it is impossible. I agree that we can distinguish between LNCM and LNCP. But I don’t see why that raises any problems for the argument in section 3. There we’re simply arguing that (at least some of) the laws of logic are necessary truths — not a very controversial claim. In fact, all our argument needs is that there be at least one necessary truth. Would you reject even that claim? Do you think that all truths are contingent truths? Besides, it seems obvious that if X is the case then it is true that X is the case; thus if LNCM holds then LNCP is true. This is too hasty. I doubt you can consistently conceive of a world without propositions, for you would have to conceive of a world in which nothing is true: a possible world such that, were it actual, nothing would be true. It’s hard to see how that is coherent. Moreover, I think this Humean strategy for refuting necessary existence (“For any X, I can conceive of the non-existence of X, therefore X doesn’t exist necessarily”) confuses strict logical possibility and broad (metaphysical) logical possibility. I plan to address the claim that propositions exist contingently (e.g., as human thoughts) in a future post, interacting with Ben’s comments. I think you are confusing “truth” with “proposition”. While it may be the case that a proposition necessarily be true, it does not follow that it is necessary that the proposition exist. It does seem obvious; however it is not obvious that if LNCM holds then LNCP exists. I would argue that if LNCM holds and LNCP exists then LNCP is true. This is the case with the actual world we live in. If however LNCM holds and LNCP does not exist (no propositions) then the concept of true/false also does not exist. As I said above, IN a world with no propositions the concept of true/false also would not exist therefore it is meaningless to apply such concepts to that world. In a world with no propositions and therefore no concept of truth I think we could go so far as to say such a world would necessarily have no minds; at least minds capable of forming propositions. I think you are confusing “truth” with “proposition”. Not at all. A truth is simply a true proposition, as we define it in our paper. While it may be the case that a proposition necessarily be true, it does not follow that it is necessary that the proposition exist. We give several reasons in the paper for thinking that it does follow. You haven’t rebutted our argument, you’ve simply contradicted the conclusion. As for your other points, they’re dealt with one way or another in my most recent post in response to Ben. What’s ironic about that? Is anyone claiming otherwise? That doesn’t look like equivocation to me. If we made the substitution you recommend so that he asks us to imagine a world where “trees exist” is both true and false, then one obvious consequence would be that trees both exist and do not exist in that world. So we would end up with exactly what Dr. Anderson had in the first place, and our substitution would have been for naught. Anyway, even if the criticism of this example were to go through, it would really amount to mere quibbling since, first, the substitution you recommend preserves the argument being made at that point in the paper, and second, few people are going to champion the objection rebutted there, that the LNC (as Dr. Anderson has expressed it) can be false. On the other hand, I do agree that we have no grounds for insisting propositions exist inside every world, which is what I’ve been arguing myself. (xii) if a thought belongs to a mind, then it belongs essentially to that mind. At least, I don’t know how deduce from the necessary existence of a proposition that there necessarily exists a particular mind without (xi) and (xii) together. Now, I happen to disagree with both (xi) and (xii) simply on the basis of how I understand thoughts and reference. However let’s assume they are true, and see if we can generate a contradiction or absurdity. Then since each human mind is contingent, it cannot be that any necessarily-existing proposition belongs (as a thought) to a human mind. Since furthermore you take the necessary truth of a proposition to imply necessary existence, then it follows that human minds cannot have necessarily true propositions as thoughts. So for example, “2+2=4” cannot be the thought of a human being. This leads me to wonder, then, in what way do you take human beings to conceive propositions? Obviously there is some sense in which a human being can conceive that 2+2=4. But if the human being is not actually having the proposition as a thought, then what is the thought of a human being which would lead us to say that he “conceives” that 2+2=4? I suspect you might want to say that we conceive 2+2=4 only imperfectly, i.e. that there is some unreachable ideal of 2+2=4 which only God can truly capture, and that 2+2=4 as we human beings can conceive it is not necessarily true, i.e. is possibly false. But if 2+2=4 is possibly false as I conceive it, then I don’t know what it means at all—I would have to be deeply confused for my conception of 2+2=4 to be false in some possible world. And anyway, when I say that 2+2=4 is necessarily true, I do not refer to any external ideal, but rather to my own conception of what it means for 2+2=4. If I am mistaken that 2+2=4 as I conceive it is necessarily true, then that seems to undercut any reason I would have for thinking that there is some ideal of my contingent thought which exists necessarily. And the same goes for the laws of logic as you express them. It would turn out that the LNC as you conceive it is not, in fact, necessarily true. In this way, the defense of the latter part of your argument appears to undermine the former. I confess I’m having difficulty understanding your objection here. Human thoughts express propositions — they have propositional content — but they are not identical with those propositions. The proposition 2+2=4 is necessarily true. We’re able to entertain that proposition in our minds, and we’re able to see (by a priori mathematical intuition) not only that it is true but that it could not have been false. So then you don’t think propositions (even possibly false ones) are ever the thoughts of human beings then, right? But that seems wrong, given the way we talk about propositions. Certainly it makes sense to say that what we think can be true or false. But propositions are said to be primary truth-bearers. (If thoughts can directly bear truth values, then what role is left for propositions?) So on the view that thoughts are never identical to propositions, our thoughts can never themselves be true or false. In other words, on that view, we can think about the LNC, but our thoughts will not be true or false—they will just be, and this runs counter to my own linguistic experience. In short, I only can identify those propositions which I understand to be identical to certain thoughts or parts of thoughts which I have. If you posit instead an external object, I would ask you how you know that object exists at all? Presumably you reject the notion that we are creating propositions by our thoughts. Instead I expect you think our thoughts somehow represent the already-extant propositions. But why suppose that there exist such external objects? It seems to me that we might as well call “propositions” those parts of our thoughts which you would take to do the work of representation. Then we will get along just fine, regardless of whether there happen to also exist corresponding external objects. So then you don’t think propositions (even possibly false ones) are ever the thoughts of human beings then, right? Well, that’s ambiguous between “propositions are identical to human thoughts” and “propositions are expressed by human thoughts”. I deny the first but affirm the second. But that seems wrong, given the way we talk about propositions. Certainly it makes sense to say that what we think can be true or false. Our beliefs are true or false by virtue of the truth or falsity of their propositional content, i.e., the propositions contained by those beliefs. Similarly, statements are true or false by virtue of the truth or falsity of the propositions they express. So beliefs and statements are non-primary truth-bearers. But propositions are said to be primary truth-bearers. (If thoughts can directly bear truth values, then what role is left for propositions?) So on the view that thoughts are never identical to propositions, our thoughts can never themselves be true or false. Propositions are by definition primary truth-bearers, but (in our view) human thoughts are non-primary truth-bearers. Our argument is not that thoughts are never identical to propositions, only that human thoughts are never identical to propositions. Perhaps it will help to clarify my own view instead of just critiquing yours: When I say that a thought expresses a proposition, I mean that there are elements of the thought experience shared from person to person which we can represent by declarative sentences in some language. I think you just sold the store. If propositions are those elements that are “shared from person to person” then propositions cannot be human thoughts, precisely because human thoughts as such are not “shared from person to person”. You seem to recognize that we need to posit something “above and beyond” those thoughts themselves. Instead I expect you think our thoughts somehow represent the already-extant propositions. But why suppose that there exist such external objects? Precisely because without them we could have no contentful thoughts. If our thoughts have propositional content, but propositions are not identical with human thoughts, it follows that propositions (if they exist at all) must be external objects of human thought. You seem to have missed the point I was making. I agree that to say “imagine an alternate reality where trees both exist and do not exist” an “imagine an alternate reality where trees exists is both true and false” would in fact be the same. Fortunately this is not what I was suggesting. As I pointed out, the important distinction is the *proposition* that trees exist (LNCP) vs. trees actually existing (LNCM). While we may not be able to imagine either the proposition being true and false or the actual state of the tree both existing and not existing, we can imagine a reality where the proposition does not exist. The whole paper hinges on the idea that LNC is a proposition and propositions are thoughts and therefore need to be divine thoughts because the author cannot imagine a world without LNC. The problem is that we can imagine a world without *any* propositions so the conclusion of the paper fails. The whole paper hinges on the idea that LNC is a proposition and propositions are thoughts and therefore need to be divine thoughts because the author cannot imagine a world without LNC. No, this isn’t correct. Read section 3 again, including footnotes 8 and 10. As I’ve pointed out, the argument can’t be refuted simply by claiming you can imagine a world without propositions. I *think* I’m starting to see what you’re suggesting, but I think similar problems remain. You wrote: “Rather, I say that logical laws, if they are framed as propositions (as Dr. Anderson had done) are true. And they are true “of/about” a world w only in the sense that we use logic to describe w.” Right, which is what I thought you said. And you also wrote that: “If p is true of/about a world w, this means were w actual, p would be the case.” You’ve now claimed that some p’s don’t fit the bill. I don’t get it, you gave necessary and sufficient conditions (the iff). Would you care to make your statement more precise? Second, I know ‘English sentences’ is not a propositions, I wasn’t suggesting they were but tried to make clear I mean the sentences you use to talk of/about worlds, whatever they are. So it might be true about/of a world that the English sentence ‘there are trees in this world’ is true (call that p). If so, then were W to become actual, p would be the case. But p refers to English, hence, etc. Third, in some worlds, worlds with minds, if they were to become actual, p would be *true* in them; but in others, worlds without minds, p would only “be the case.” Why is that? Moreover, doesn’t your thesis have it that we know all truths? But that seems hard to swallow, as there are truths out there that seem waiting to be discovered, mathematical truths being an easy and obvious example. Now, you may deny this understanding of truth, etc., but I don’t find that plausible or fitting with intuitions. James did say his argument wouldn’t convince all people. Heck, there’s still people out there that think solipsism can be defended, since there’s no knock-down argument against it. So what if I go the physicalist route and just state that the entire working universe is my argument for physicalism and I therefore take umbrage with the fact that your argument assumes non-physical entities can even exist all. And taking for granted that non-physical things can interact with physical things (which they cannot). And no matter what system of logic we use in place of the classical laws, doesn’t epistemology 101 say that humans do not have direct knowledge of anything external? (Kant). 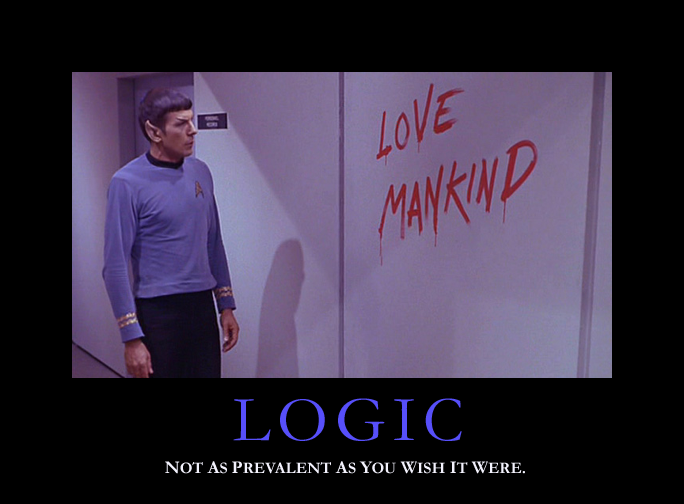 So, if the laws of logic are not man-made, then the argument falls apart. Since it’s only man’s understanding of the rules of the universe that he crafts into a logical system. Physicalism is a metaphysical thesis that can’t be confirmed empirically. With respect to the empirical data, physicalism is on all fours with idealism. Moreover, as Ben has pointed out, we don’t simply assume in our paper that non-physical entities exist; we give arguments (specifically, for the existence of propositions). You assert that non-physical things cannot interact with physical things, but you make no argument. Why should we think that? If non-physical things cannot interact with physical things, I guess your mind didn’t interact with your body when you typed your comments. What exactly does it mean to claim that “humans do not have direct knowledge of anything external”? (External to what?) Surely you don’t think Kantian epistemology is taken for granted by epistemologists today. What exactly are these “rules of the universe”? If you mean logical rules, those are just the laws of logic — we don’t get to choose them, but rather to discern them. They’re truths independent of us. If you mean some other kind of rules, you’re changing the subject. Dr. Anderson argues for the non-physicality of the laws of logic, instead of simply assuming it (cf. p15). In his argument, he does not assume the non-physicality of other entities. However I do agree with your criticism that Dr. Anderson wants to have his cake and eat it too, insofar as he wants to be able to talk about something (e.g. the LNC) which, according to him, is conceptually out of reach. If he’s correct that the LNC is not one of our thoughts, then it’s hard to see how we should be able to know that it exists even here in the actual world without begging the question. But this requires defending a form of idealism, which is more work than I think is necessary to resist this argument. Where do I claim or imply that the LNC is “conceptually out of reach”? It seems to me that you are (again) confusing thoughts with their propositional contents. Sorry, I shouldn’t have said “according to him,” but rather something like, “as a consequence of his view.” Certainly you never say that propositions are conceptually out of reach. But you do seem to suggest that propositions are external to our thoughts, i.e. they are not themselves our thoughts or parts of our thoughts. To my reckoning, that puts them conceptually out of reach. Of course, I am the one drawing that conclusion (based on what I take to be your view), so my apologies for suggesting otherwise. Why think that if propositions are external to our thoughts then they are “conceptually out of reach” (whatever exactly that means)? When I talk about shared elements, I’m not saying that the elements are identical in every respect, but only that they share a certain structure or character. So for instance we can talk about the shared structural elements of a group of chairs without positing the existence of some perfect/ideal chair which possesses that structure. So too with our thoughts. Surely you agree that we can have some kind of shared character between our human thoughts, yes? Well we can use the term “proposition” to talk about certain such similarities in structure/character. I guess you want to identify the LNC with some kind of perfect ideal which exists as a thought in the mind of God, and that our thoughts can only ever represent this external object (the thought in God’s mind). But in what manner do our thoughts represent God’s thought? Well, presumably they do so by exhibiting a similar character to it. So I suggest that rather than saying that our thoughts exhibit a similar character to some single thought in the mind of God (even if they really do), we can talk instead about the similarities in character between the thoughts of ordinary human beings, apart from God’s thoughts. So we can identify a proposition with a sort of similarity class, so to speak, of those thoughts which we take to “express” it. Along with an essay he wrote trying to attack pressupositionalism altogether. I was wondering if you responded to this guy in any of your work, either on his criticism of your article or his attack on pressupositionalism. I would be really interested to read any response you might have. Thanks for the kind words about the article. I have interacted with Dawson Bethrick before, but that was many years ago. I did not find our exchanges very profitable (and my guess is he’d say the same). He’s firmly wedded to Ayn Rand’s philosophy, which I find hard to take seriously (go here to read some pretty devastating criticisms of Rand). Dawson, on the other hand, doesn’t take contemporary analytic philosophy very seriously (or at least he didn’t when we interacted way back when). So it’s difficult for us to have a useful philosophical discussion. To take one example, I think that any philosophy which rejects the distinction between necessary truths and contingent truths (note: rejects the distinction itself as incoherent, not merely the claim that there are both kinds of truths) has fallen at the first hurdle. If we can’t even agree on that elementary logical distinction, where do we go from there? If Objectivists like Dawson have to reject the necessary-contingent distinction altogether in order to refute our argument, well, so much the worse for Objectivism, I say. All this to say, I’m not too concerned about Dawson’s critique of our article because the constituency for which we’re writing (in this case, contemporary analytic philosophers) don’t take his philosophical outlook very seriously in the first place. I don’t mean that as an insult, although it may sound like one; it’s just offered here as an explanation for why you won’t find me engaging at length with his critique. I have to admit I found his criticisms rather inept but I wanted to cross-reference that with you in case I was not giving him the benefit of the doubt. Like you said, it was hard to take him seriously and I wondered if I was being unfair. It seems like I wasn’t after all. His facination with ibjectivism is indeed strange. I am of the thought that objectivism is intellectually bankrupt and was surprised to see him ramble on about it with such fervor. Thanks for the link to the critique of Rand by thw ay. I have read Bill Vallicella’s blog in the past and really enjoyed it so I will be sure to go over the link you’ve provided me with. Thanks for the response. I look forward to reading more of your blog! 1. Some platonic notion of logic similar to the theory of forms. 2. Thoughts in the human mind alone. Linguistic tokens would entail the reduction of logic to brain states in some eliminativist fashion? Hence treat logic as psychologism would (more or less)? I’m trying to link what I know of logic so far in a clear framework. I appreciate the insight you’ve provided. Pingback: The Lord of Non-Contradiction | Adhuc non intelligis? Your meaning of “exists” is, more or less, “thought of by a mind”. “Being true” though has absolutely nothing to do with “being thought of by a mind” and I’m at a loss to make the (logical) connection claimed by that step. I’m afraid you’re wrong on both counts. The meaning of “exists” is given on page 8; it is not “thought of by a mind”. The logical connection between “being true” and “existing” is the argument from property attribution, explained on pages 10-11. Perhaps I should have said “at a loss to make the connection in a way that preserves the argument. A meaning of “exists” is given on page 8, which does not include “being thought of”. Later, though, it is held that laws of logic “are essentially thoughts”. If they are essentially thoughts then anything not a thought is not a law of logic and no law of logic can exist without being thought. Property attribution takes a propositions “being true” as entailing existence. If this is accepted then a proposition exists if it is true whether or not anyone has thought of it (contra the above). I think you’re still misunderstanding the argument. We first argue for the real existence of propositions, then we argue for the necessary existence of propositions, and only then do we argue (on independent grounds) that propositions are mental in nature. The argument proceeds in stages, each stage with its own sub-arguments. If they are essentially thoughts then anything not a thought is not a law of logic and no law of logic can exist without being thought. Right — that’s an entailment of the argument’s conclusion. What’s your point? If this is accepted then a proposition exists if it is true whether or not anyone has thought of it (contra the above). No, that’s a non sequitur. If a proposition is true (or false) then it exists. But it doesn’t follow that it exists independent of any mind. It seems to me that when you say “whether or not anyone has thought of it” you’re confusing two notions: (1) a proposition as a thought and (2) a proposition as the content of a thought. The first is the divine case; the second, the human case.